If they don’t grow out of it in six months, they’ve worn through it in three. It’s difficult to get a respectable cost per wear on your minor’s wardrobe. But there is a solution you may not have considered. One of the best ways to save money on kid’s clothes is shopping gently used or thrifted pieces. Feeling a little intimidated? Here are my expert tips for walking out with a covetable haul instead of a colossal headache. Go in with your filter on. Are you shopping for a certain child, a category of clothing, or a particular season? If you’ve identified what you’re looking for, the thrifting process is a lot less exhausting. It saves you from having to make decision after decision on each individual piece of clothing. This first step should eliminate at least 80% of clothing from your consideration set. Use both hands and eyes. Thrift store shopping is not for browsers. Each piece is unique, so you can’t stand back and scan. Step up and start sorting. Quickly inventory each piece, be quick but thorough. Compare and conquer. Since most thrift stores only offer exchanges of items, and it can be difficult to thrift shop with impatient children. Bring a pair of pants, a shirt, a dress, in other words a small wardrobe that fits. Then compare these pieces to what you’re considering. You can’t always trust the size printed on the tag. Different brands fit differently and perhaps the garment has shrunk, stretched, or wasn’t true to size to begin with. Don’t be afraid to cross departments. look in the boys department when you’re shopping for a girl or in the women’s department for hidden teenager treasures. Sometimes items get mis-sorted, misplaced, or are gender/generation neutral to begin with. Some of your best finds might be hidden in the wrong spot. Shop often. Rather than expecting to get a year or even a season’s worth of clothing in a single visit, aim for an outfit or two. The Deseret Industries in Avondale puts out 2,000 items a day on average. Which means it’s a different store every time you enter it. Be willing to stop back in regularly to see what new items have arrived. I prefer the DI because their prices are always low. I don’t have to wait for sales, instead I can stop in whatever day is most convenient for my schedule. Hopefully this helps you find a few more outfits for a few less dollars as you send the kids back to school. For my segment on Sonoran Living, I found all the kids’ clothes from accessories to shoes at Deseret Industries and each outfit was under $10. As you wait in line during Black Friday, multitask your time to download a new app or two to simplify your holiday shopping. This system tracks what your bought, how much you spent, and when it will be delivered. Ensuring your don’t forget a gift for cousin Agnes, that Grandma’s spoon rack will be delivered before Santa’s cookies are turned into crumbs, and that you won’t be paying off your holiday generosity through Mother’s day. In fact, you may end up with more money in your account a few weeks into the New Year. Price Drop Alert is a genius money-saving feature, it enables you to buy items whenever you want at any store (rather than waiting for a sale) and tells you if and when the item’s price is reduced. If it is, Slice guides you through a quick and easy refund. 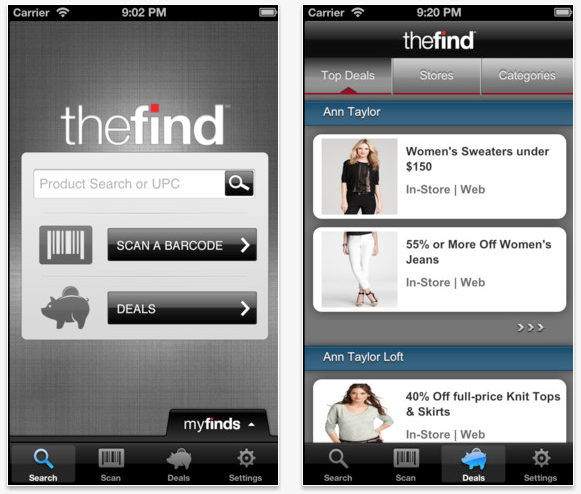 Let your phone search major stores for Black Friday offers, including deals only redeemable in-store. You can list stores you intend to visit and view their offers–or enter specific items to see which store will give you the best price. Scan a barcode in-store on your phone and search other shops selling the same item to ensure that you’re getting the lowest price. 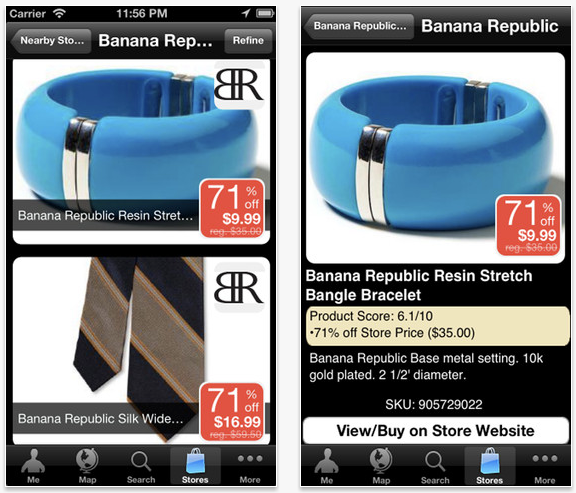 If you’re not, the app provides a map to the store with the best deal. 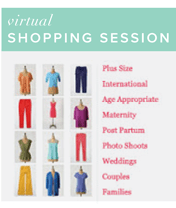 (includes Fashion Lookbook, Shopping Session, Fashion Package- Lookbook + Shopping Session, Closet Cleaning, or a 90 minute class for you and your favorite ladies). And this discount can be applied to pretty little holiday gift certificates.